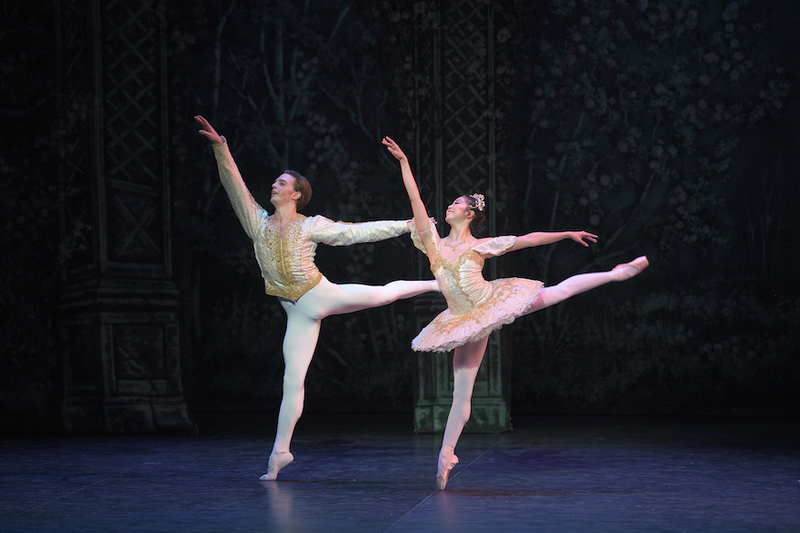 Wayne Eagling’s 2010 version of The Nutcracker for English National Ballet is not universally loved, but we like the fact it serves a variety of needs. If you are looking for a performance that feels traditional it should fit the bill, but its numerous innovations will also suit anyone looking for something a bit different. There may be snowy streets with ice skaters and a good old-fashioned party in Act I, but the lead character is unusually played by two dancers, with Sophia Mucha portraying the Young Clara extremely well. Different people also play Hans-Peter and the Nutcracker, even though they are one and the same person. The story proper normally ends before the interval, with Act II reserved entirely for dancing, but Eagling extends the narrative simply by seeing the Mouse King defeated far later than usual. Casts vary, but on opening night Shiori Kase displayed beautiful delicacy, shape and technique as Clara, while Joseph Caley as Hans-Peter combined cleanness with bravado in his movements. The Act II Suite was also danced well, with the Waltz of the Flowers revealing galloping diagonals and Alison McWhinney feeling like a Botticelli painting come to life in the Mirlitons Dance. 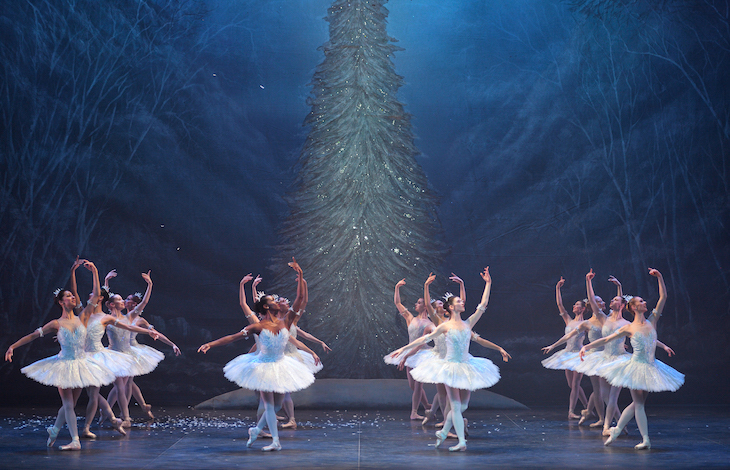 The Nutcracker, London Coliseum, Saint Martin’s Lane, Charing Cross, WC2N 4ES, £14-79. Until 6 January 2018.